When an agreement between two parties has been put into writing, both parties should abide by the agreements stipulated in the contract. 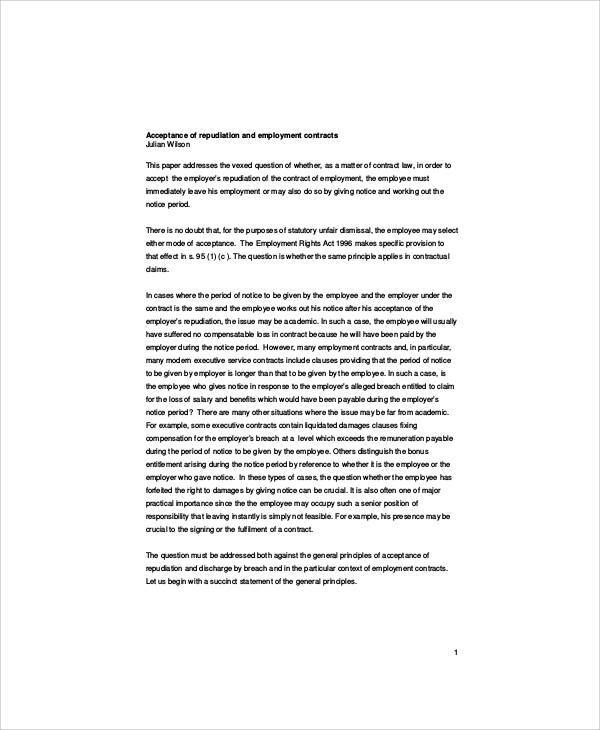 This is especially true between an employer-employee arrangement because not following what’s written in a contract can result in suspension or, worse, termination of employment. 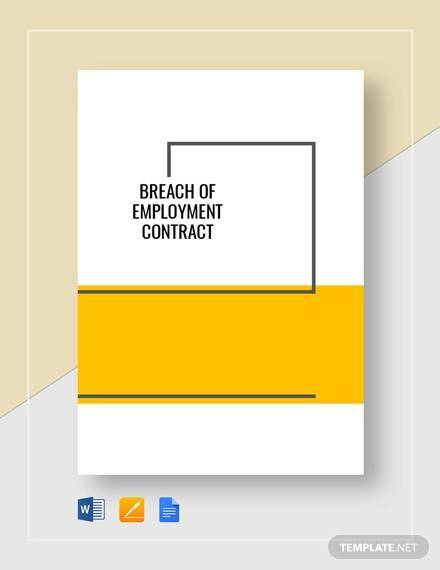 Breach of contract happens when either an employer or an employee breaks at least one of the terms stated in the contract. To put a remedy to a breach of contract, another contract may be made in order to put things in order. Here we give you six Sample Contracts that can be used as a reference for making a new contract in case of a breach. Check out all of the samples we have below. A contract serves as a toll that establishes a promise that is legally enforceable. 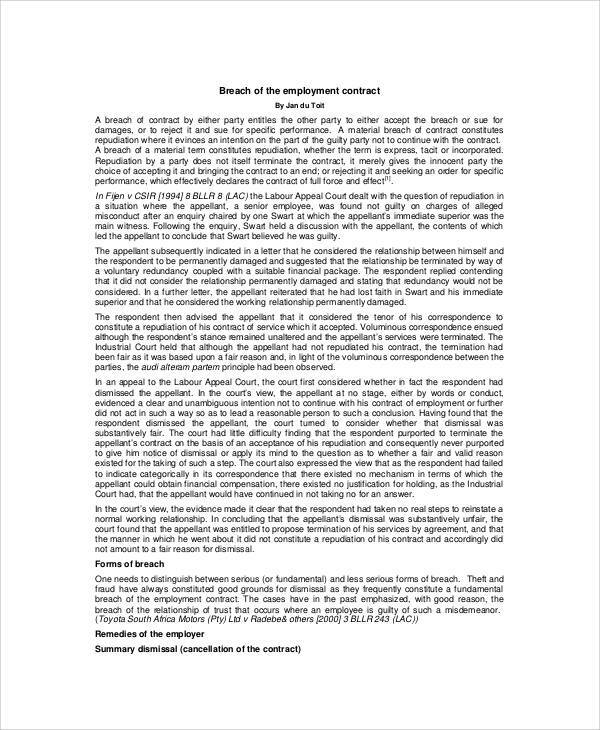 On the off chance that either the employer or employee breaks one of the promises stated in the contract, the complaining party should be given an opportunity to sue for breaking the rules of the agreement. One of the most important things to prove when it comes to these complaints is the existence of the contract. Offer – This is simply the reason why the parties involved entered the agreement. Acceptance – The genuine acceptance of the agreement and its essential terms. It will be easier to see the acceptance in written contracts as this is represented by signatures of the involved. Consideration – This talks about what the responsibilities of each party are. 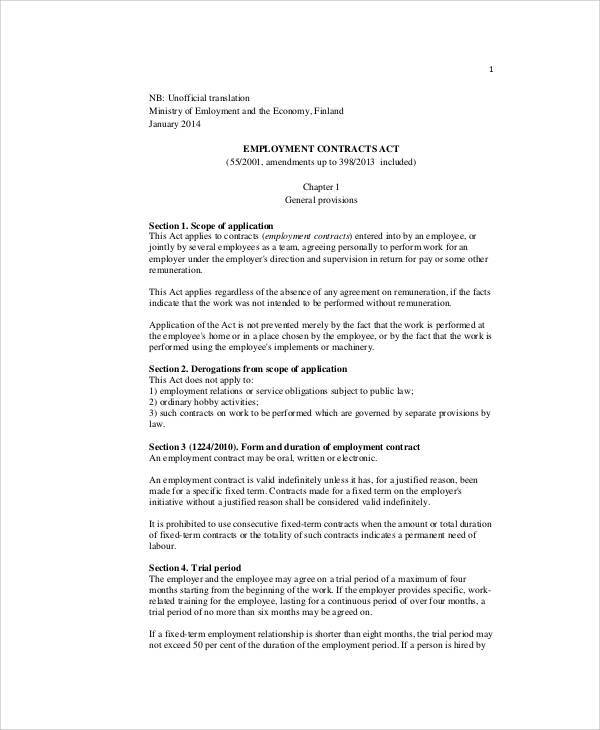 You can take a look at samples of employment contracts through our Employment Contract Sample article. This will give you a good idea which written agreements are considered as contracts. 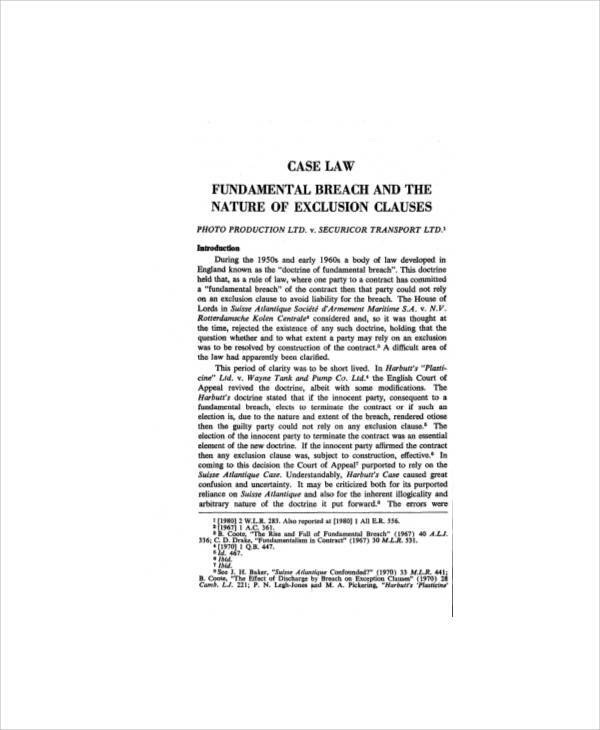 There are two types of contract breach: material breach and non-material breach. 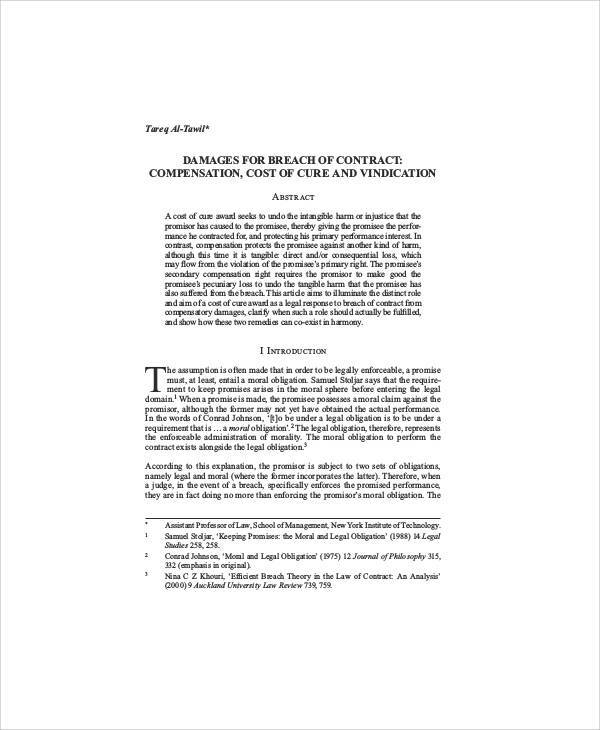 A material breach refers to one party’s failure to comply with the serious agreements in the contract whereas a non-material breach refers to failure to deliver the lesser serious parts of the contract. 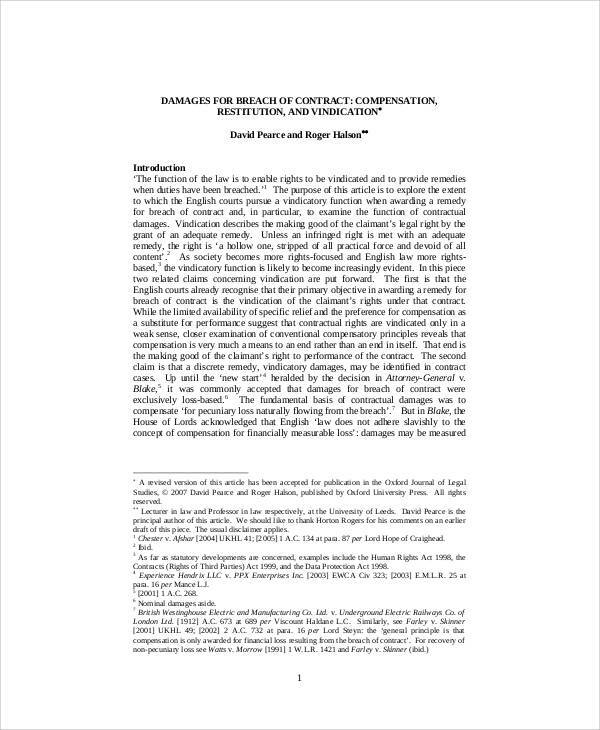 is excused from doing their responsibility as stipulated in the contract and can also stop being involved with the contractual situation should they suspect a breach of the contract. should still do their responsibility as stipulated the in contract. Make Another Contract for the Breached Contract? It may sound confusing to make another contract for a breached contract. However, it is deemed to be important for legal purposes of establishing what the complaining party should receive regarding the breach. It will also establish what the following actions regarding the breach may be. Going through our samples will clearly help you understand better how these contracts are used. They are downloadable in PDF format at no charge. Always remember to seek professional and legal advice from experienced lawyers to lessen the occurrence of misunderstandings. 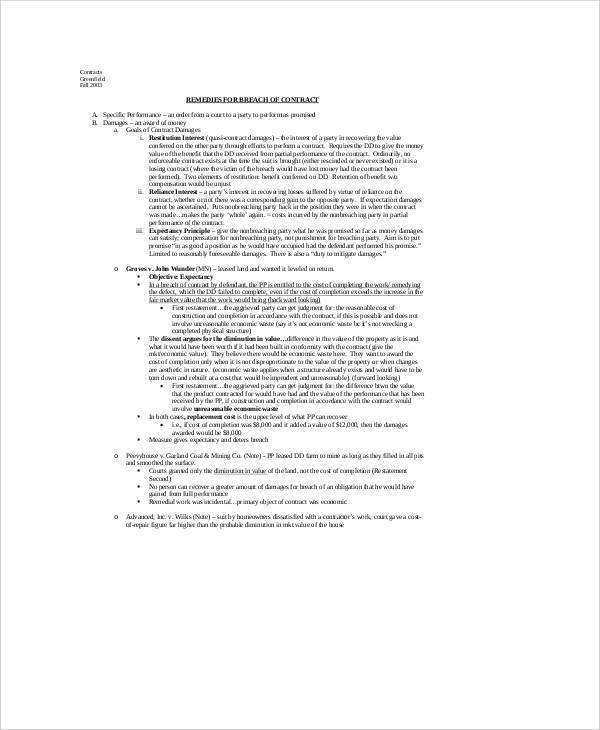 You may also check out the Construction Contract Samples we have in our website.